Score a front row seat on the runway and snag a backstage pass to the VIP parties -- all without stepping foot in New York City, or even changing your browser. Just tune in to channel 600 on Pluto.TV, an L.A.-based video streaming startup. 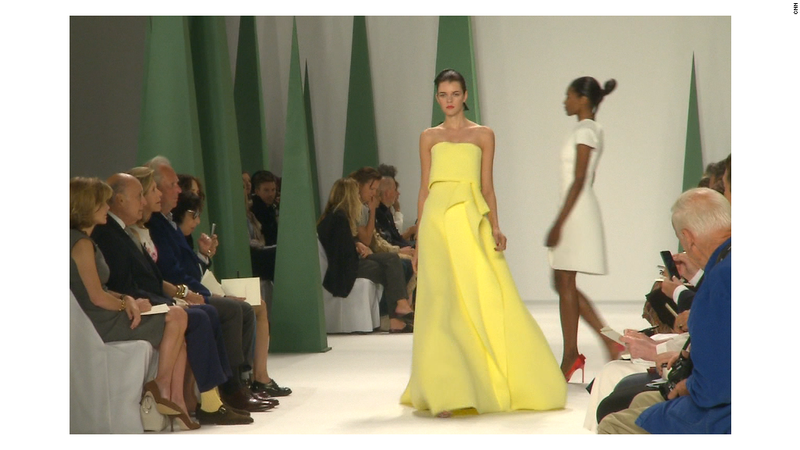 Pluto.TV, a TV Guide-style approach to online video, announced a New York Fashion Week channel on Thursday. "Our goal is to make it really easy and enjoyable for lovers of fashion to quickly tune in and get timely updates," said CEO and co-founder Tom Ryan. It's just the latest vertical from Pluto.TV, which launched in March and offers over 100 dedicated channels for everything from breaking news to sports to viral videos. Their curators (a mix of humans and data) pull online content from sites like YouTube, Vimeo and Dailymotion. They also have dedicated channels for content partners like Funny or Die, QVC and PopSugar. For the next week, Pluto.TV's NYFW channel will feature runway shows from designers who stream their shows online (like Burberry, Chanel and Christian Dior) as well as curated pieces from partners like Refinery29. "Given our active curation of the channel each day, there may also be other sources depending on what is published for syndication," said Ryan. Fashionistas can watch online (on a browser or mobile app) or on connected devices like Amazon's (AMZN) Fire TV or Google's (GOOG) Chromecast. Plus, a DVR-like function lets you pause, fast-forward or save shows for later. This isn't the first time the company has launched a custom channel: Past ones have been both planned (World Cup, Wimbledon) and unplanned when there's breaking news (Robin Williams' death).